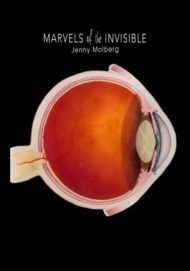 In her first book, Marvels of the Invisible, Jenny Molberg looks through a scientific lens in poems that are both memoirs and detailed descriptions of life forces. Her verse is lush with imagery, and in both her lyric and narrative poetry shows imagination and mastery of craft. 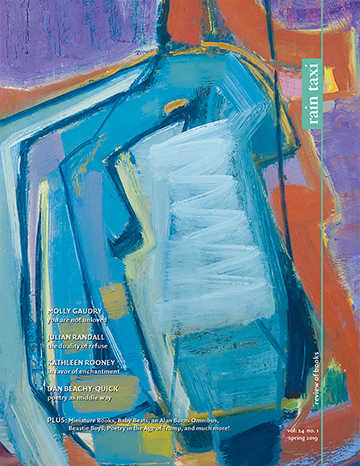 This book won the Berkshire Prize from Tupelo Press, and it’s clear on reading the poems why it was a winner. He shows me the room full of microscopes. and his breath as it clouds the lens. While the poet’s description is rooted in the natural world, she veers toward the mystical in verses lush with lyrical beauty, as in “The Outer Core”: “I am sitting with the moon and we are drinking from the sky. / We break open the earth lake an egg and look inside. / We discover equinox, sulfur, Aurora Borealis.” In fact, Jenny Molberg looks through multiple lenses to give us a picture of the world. She offers the reader microscopic detail—an ant, the inner ear— looks through a telescope to paint the cosmos. Most importantly, she writes with skill, clarity, and sensitivity. This is an excellent first book; readers will look forward to a second. This entry was posted in Uncategorized and tagged Spring 2018 on April 9, 2018 by Kelly.